« Innovation’s low-hanging fruits: on the demand or supply sides? Another Surprising Side-Effect of Paracetamol: Causing ADHD? Taking the popular over-the-counter pain and fever medication paracetamol during pregnancy might affect the unborn child more than we assumed – and hoped for. Recently, research began to link pre-natal exposure of paracetamol (also known as acetominophen) to asthma and poor motor and communication skills in small children. Now, a new study published yesterday suggests that taking paracetamol during pregnancy comes with an increased risk for the baby of developing attention deficit hyperactivity disorder (ADHD) later. The authors of this study investigated 64,322 Danish children (born 1996-2002) and their mothers. The women were asked whether they have taken paracetamol in computer-assisted telephone interviews three times during their pregnancy and shortly after. To asses ADHD in children, the researchers used different ways: they asked the mothers of 7-year-olds about their child’s behaviour using a standardised ADHD questionnaire. Moreover, they used Danish medical registries to gain information about diagnoses of hyperkinetic disorder, which resembles a severe form of ADHD, and descriptions of ADHD medication to the children. What they found was that children whose mothers took paracetamol during pregnancy had a 13% higher risk to develop ADHD-like behaviour at the age of 7 than children whose mothers didn’t take the pain killer. Similarly, babies whose mothers used paracetamol were 37% more likely to be given a hospital diagnosis for hyperkinetic disorder and 29% more likely to get prescribed an ADHD medication (mainly Ritalin) later. On average, children were about 11 years old when they were diagnosed and prescribed medication. Their risk was even higher when their mothers took paracetamol in more than one trimester of the pregnancy. It is important to note that this is correlational study doesn’t prove that taking paracetamol during pregnancy causes ADHD in children, but only shows a preliminary link between paracetamol and ADHD. Even though the authors rule out several variables that might be underlying “hidden” reasons for such a link (e.g., mental illness of the mother, smoking or infections during pregnancy), there are still other factors that might be the true reason for the correlation observed. The authors admit that further research is needed on the link between paracetamol and ADHD, but conclude that the association they have found “might explain some of the increasing incidence” in ADHD. However, in an editorial published alongside the original study, other experts respond. 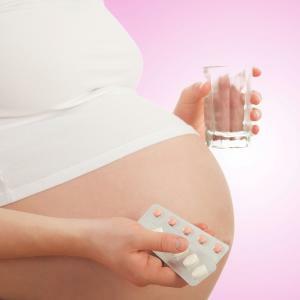 They support “the importance of not taking a drug’s safety during pregnancy for granted”, but at the same time highlight that this study “should not change practice” in terms of taking paracetamol during pregnancy. I think we might expect an increasing debate around the dangers and merits of paracetamol soon. One Response to Another Surprising Side-Effect of Paracetamol: Causing ADHD? This is very important study. Most women will not intentionally do anything that puts their future children in 13% chance of having a disorder. It is not totally proven, but having this connection is enough for many of the pregnant women.